This post really hit a spot with me – the whole ‘caring and sharing’ does seem a bit (sadly) dated, but this year I’ve had a class of lovely individuals who didn’t quite ‘gel’ together. At Xmas, we had a ‘secret santa’ and asked each person, as they gave their (small) gift to say what they liked about that person. There were some lovely thoughts voiced and it made a big difference to the atmosphere (and therefore probably the learning) in the class. Sometimes we need to remember the Love and Peace, Man! Though I didn’t always think this way. Schooled in 80s Britain, HLT, when I eventually encountered it as a beginning teacher, smacked of long-haired vegetarians preaching for a utopia whose death knell had long been tolled by the politics I came of age under and had been numbed by. But now I am older and (ironically though perhaps not coincidentally) I have become a long-haired vegetarian. And I look back at those school days and recognize that the teachers who helped me forge myself were humanistic in the sense you outline here. I have started to outpace my earlier cynicism and can move comfortably towards such class activities and their underlying principles now. Perhaps this is why Dogme speaks to me. Touchie feelie .. a horses for courses thing. Most adolescent boys in Spain would die doing a lot of the humanistic activities I have seen. Dare say the same would be true for other learners in different parts of the world. I’d have hated to have it imposed on me. Sorting through boxes of books in my mother’s attic here in Lancaster, I was drawn to ‘Freedom to learn for the 80’s’ on the back cover of which Carl Rodgers writes ‘we had found a way of being with students that was sharply different from conventional education.’ And maybe that’s filtered down past the fluffiness to leave a practical and lasting impression. He continues. ‘It did not involve teaching so much as a process that we came to think of as the facilitation of learning….it involved being a real person in the student teacher relationship.’ Stirring stuff. Yes absolutely- a practical antidote to the cynicism of the day. I’ll be re-reading this book. It fired me me up when I started out in the 80’s. The ‘facilitation of learning’. 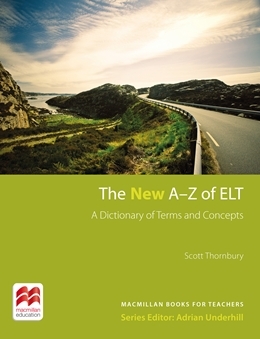 Dogme, TBL and a defining characteristic of EAP, ESP i.e. the needs analysis all owe something to the insights of humanism. Woolly-at times maybe. But surely practical and real. Well worth revisiting. There is a “cyclical” feeling about these posts-of reacting to something one way but then going back and reassessing what may at first have struck us as a bit far out, touchy-feely and coming to see its relevance and usefulness. 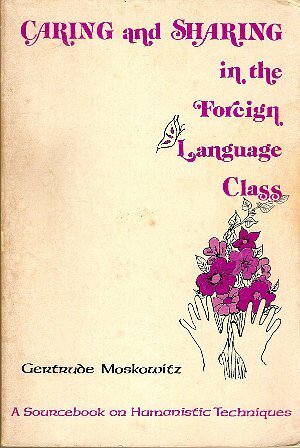 I remember the Moskowitz book being referred to as Daring and Scaring in the Foreign Language Classroom (and this was by someone right in the middle of the humanistic camp). Perhaps to avoid the “risk factor” she could have stressed a bit more that the activities would be most effective if introduced gradually and that not everything is appropriate for every group. But there is a lot of material there that is very sound and very current. In fact, I can’t pull out my copy to find some examples as I have lent it to a young Spaniard who is very active in one of the main publishing houses of materials for teaching Spanish as a second/foreign language. For a project he is working on with me he first read – in awe – all of Earl Stevick’s works and the moment he learned I had a copy of Caring and Sharing… he grabbed it too. Some of my appreciation for the book may be linked to my pleasant memories of long-haired vegetarian, Bob Dylan/Joan Baez days, but the fact that it also has something that attracts the current generation and even in other language contexts points to some very important core concepts and useful activities beyond the slightly “unusual” that may first get our attention. I don’t see that “postmodern cynicism” has ever taken us down good paths and Scott’s suggestion to revisit texts such as this in search of their “good sense” makes a lot of sense to me. Thanks for your comment, Jane. I ought to add that the book that Jane recently co-authored with Verónica de Andrés, Seeds of Confidence: Self-esteem activities for the EFL classroom (Helbling, 2009), follows very much in the tradition of Caring and Sharing, but takes on board more recent developments in motivation theory, including the concept of the ‘ideal L2 self’ (see Jessica’s post below). As they comment in their Introduction, “teachers can help to develop this self-image by on the one hand helping to make being an L2 speaker seem attractive, and on the other hand making it seem possible” (p.13). This academic year, I’ve been conducting a classroom intervention based on Dörnyei’s ‘L2 Motivational Self System’, which involves techniques such as positive visualisation and imagery enhancement. For example, the learners visualise their ‘Ideal L2 Self’, share and compare with their classmates, then elaborate their ‘vision’ in written form. This was a considerable leap of faith on my part as, before starting the programme, I would probably have dismissed such activities as ‘tree-huggery’. It was, quite simply, a million miles away from my previous classroom practice, but that was exactly why I wanted to try it, as I wanted to avoid becoming stale and repetitive. I’m currectly in the process of collecting and analysing data, but here are a couple of points that might be relevant to this discussion. Students in the second teacher’s group (via learner diaries) have reported that the activities have helped them ‘to know their partners’ and ‘to feel more comfortable’. In an individual interview I conducted this week the student commented that it was ‘an unusual and pleasant surprise, a bit like a yoga class’. While I have been genuinely surprised by the positive response so far, I should perhaps add a caveat here. In the context of the interview above, the student felt relaxed enough to make some personal confessions. This has happened to me before in one-to-one situations, when learners can sometimes confuse the teacher’s role with that of counsellor/therapist/confessor, but never when the interview was being recorded for (admittedly very limited) public consumption. In other words, when we encourage our students to open up, we should be prepared to deal with the potential can of worms. However, I can certainly conclude that this has been a very positive experience for me as a teacher and, it seems, for the students as well. Thanks for that update on your research, Jessica. It’s interesting how so-called humanist activities can be re-habilitated in the light of recent developments in motivation theory, specifically the notion of the ‘ideal self’. This would seem to explain, retrospectively, their attraction perhaps. Out of interest, is the work of Maslow still credited in the literature on motivation? I had to go back to Dörnyei’s ‘Motivational Strategies in the Language Classroom’ (CUP; 2001) to find a reference to Maslow in my somewhat Dörnyei-centred collection. An on-line library search of the major journals suggests that, in the motivation literature at least, he is now referenced in historical retrospectives of the field e.g. However, there are plenty of Maslow references in more recent articles on methodology and teacher training, e.g. Akbari: ‘Transforming lives: Introducing critical pedagogy into ELT classrooms’. ELTJ 62 (3) 2008. I agree with some of what you say, Glennie. I think “imposing” is not in the spirit of humanistic activities, though. Evidently, many of these activities may need to be adapted (some even thrown out for the groups we may have) and they may need teachers to think a bit first about how to use them best. But I have doctoral students in Spain who have done research on topics related to humanistic language teaching and have researched them precisely with teenagers here, using these activities very successfully. Some preparation is necessary, getting the group ready. I certainly wouldn’t walk in to class the first day and have them do something like the “I like you because…” activity. But Jo mentioned the similar Secret Santa idea that went very well. I suspect the relationship of the teacher with his/her students is crucial here. And Adrian Underhill’s metaphor for teacher development comes to mind here – First there is what he calls the Lecturer, who knows the language. But, seeing things don’t always go well, s/he works at improving and learns methods and techniques, becoming what Adrian terms here Teacher. Things still aren’t perfect, though, so more work and improving, and there emerges the Facilitator, who knows the language and techniques but also how to establish a climate in the classroom where truly effective learning can take place. And I bet the Facilitator would use many of Moskowitz’ activities very effectively. When I posted the above, I didn’t know that Jane had got there before me – it’s as if she knew I was talking about her! Following on a little from Anthony… I was thrown into a typical UK high school education about the same time and as I try to reflect upon my (not so great) experiences now, I am drawn to the fact that a few hundred miles down the road was a notoriously humanistic (some would say, anarchic) school, Summerhill. Hopefully I am not alone in thinking this kind of education not only is based on rather elegant and enlightened priniples, but perhaps helps make more compassionate and humanistic people. I would agree with Ken Robinson that school so often kill creativity and critical thinking (something we do NOT want to stifle at this turning point in human history), but I would add, its just as important to help learners develop a sense of social justice. Without that, well… to put it bluntly, we really ARE fucked! Thanks for that, Mr D ( although, now that we are all caring and sharing, it would be nice to know your real name!). The connection with Summerhill is interesting, although I don’t think it’s the case that a progressive education is necessarily a humanist one. That is to say, to include the likes of A.S. Neill, Rudolf Steiner, Maria Montessori, and so on, under the humanist umbrella might be stretching the meaning of humanism to breaking point. I might be wrong, though. I’d appreciate it very much if you could just elaborate a little, and perhaps tell me any differences you can discern between so-called humanist and progressive approaches to education. As I said, I may be wrong in trying to force a separation between ‘progressive’ educational philosophies and ‘humanist’ ones, believing that the latter are really a sub-set of the former. Partly, it’s a question of chronology: the progressive educational movement that originated in the late nineteenth century predates the advent of the term ‘humanism’ by several decades. I would never have thought of A.S.Neill as being a ‘humanist’ therefore, although the label seems to fit some of his progressive contemporaries – like Montessori – better. I’m not sure why. I’ve been reading up on the history of progressive education in order to work out how humanism fits in. I think perhaps that one distinction is in the way the two “schools” construe the goals of education. The early progressive educationalists, such as John Dewey, envisaged schools as small communities that prepared students for citizenship in a wider, democratic society. “The ideal of community permeated Dewey’s educational thought. He repeatedly referred to the new school as ‘an embryonic community’ and in his well-known formulation maintained: ‘When the school introduces and trains each child into membership within such a little community, saturating him with the spirit of service, and providing him with the instruments of effective self-direction, we shall have the deepest and best guaranty of a larger society which is worthy, lovely, and harmonious.’ For Dewey the school was to become the key to reforming society” (Zilversmit, 1993, Changing Schools: Progressive Education Theory and Practice, 1930-1960, p p. 6-7). Humanism, on the other hand, seems more focused on individual self-realisation: “Humanistic approaches emphasise the importance of the inner world of the learner and place the individual’s thoughts, feelings and emotions at the forefront of all human development” (Williams & Burden, 1997, Psychology for Language Teachers, p.30). Perhaps not surprisingly, therefore, humanistic teaching is associated more with the 60s and 70s, and the unashamedly individualistic quest for self-fulfilment characteristic of that time, rather than the community-building and internationalist spirit of the early twentieth century. total agreement. In fact there are 2 reasons I think affective/humanistic principles are important for the classroom – first, there is a lot of evidence that learning proceeds more effectively when affect is taken into account. But second, it is more important than ever for schools to participate in educating students in ways that make them more affectively competent and more responsible members of a healthy society. Thanks, Scott, for another enjoyable Sunday morning read! What I particularly like about this post is that you go to the underlying principles which, as you point out, are sound. Often what we do, or are required to do, when working with learners is based on sound principles but the connection between our actions and the principles becomes lost or fuzzy, leaving practitioners doing something for the sake of it, rather than because it benefits the learners they are actually working with. Regularly revisiting, and evaluating, the principles behind what we do, in relation to particular learners, so that we can justify sometimes taking a different approach to that expected by inspectors, funders, line managers or whoever, seems like a very valuable thing to do. Of course, a better awareness of underlying principles will also make it easier to understand why we are asked/required to work in particular ways and make us better able to make these ways work for the learners. Essentially, our concern should be with helping people to learn, and not with ticking boxes. Nicely put, Carol. If this blog serves any purpose, I hope it is to put practitioners in touch with “the underlying principles” of what they do. As you say, these can easily get lost in the mania for ticking boxes! The post, what makes it great? For me, it is this powerful quote, by Scott: “”Bringing the students’ lives to the content brings life to the content”. The word play of the three words, “bring”, “life”, and “content”, used to tell a simple but undeniable truth, is not only memorable on an intellectual level, but also on a visceral level. The emotional logic, if you will, of HLT is slowly making sense for me the more I read the principles on which it is based. That said, I also see that what one might call the “surface forms” of HLT (the “tree-huggery) would have been anathema to me as a teenager. but (as Mr. Darkbloom hints at) would I have felt like that if my education had been at root and from the outset more humanistic? People go to therapy sessions for therapy, they go to encounter groups to meet people, and they go to language classes to learn languages. When I look back, I feel that many of us (myself included) sometimes had a damned cheek obliging our students to bare parts of their souls or have them bared for them. It’s incredible that they put up with it. Of course, there’s nothing wrong with baring your soul …if you want to. But it’s an entirely different thing when teachers impose activities which necessarily involve soul baring. It could not be more disrespectful towards the learner. These activities often went very badly. They were over in a matter of minutes to the chagrin of the teacher. The students voted with their feet and did not play ball, as they had every right to do. It has taken language teaching a long time to grow up. Getting to know learners for me is pretty-much the same as getting to know anybody. It’s about basic social skills, based on pretty unremarkable – but sometimes hard to activate (depending on your personality) – principles. Some people are not very good at conversation – they tend not to notice when the other person isn’t interested or appreciating the way the conversation is going. They don’t reflect enough on this and as such, are at a loss on how to improve things. It is the same with teaching. We can always learn from errors and improve ourselves, but perhaps some people are starting at more of a disadvantage than others. I have friends who have much better social skills than me. Yes, wonderful read and I agree, we should ask ourselves the questions you are asking (yourself and us). I was really hit by the “students have ideas too” notion. Something I think is the weakness of a lot of approaches in ELT. In fact, I think it should be a core idea for teaching a second language. Begin there, each and every lesson. As for “feelings” – I think it is all how it is done. Takes a great teacher (and by that I don’t necessarily mean one with a lot of credentials or experience) to pull it off. Another thought also struck me. Seems that so many of the wonderful ideas of the late 60s , 70s; in policy, in instruction, in thought – are now being revisited. I think it is because we’ve swung so far the other way – we can now see them in a clear fashion. Thanks, David. The notion that “the students have ideas too” may seem glaringly obvious, but it does come as a shock to many teachers. I gave a talk about this very subject last summer in New York, and one of those attending e-mailed me afterwards to say that the idea that the students could contribute to the content of the lesson had hit him with the force of a revelation! Absolutely, Anthony. We all are brought up within certain paradigms and power structures that we totally take for granted and would do well to continually question. The most everday, common sense ideas and constructs are especially good to attack. Formal education being around the top of the list. A love to give Summerhill as an example, when talking about these things. It really pushes people’s intuitions around about what they take for granted. Yes, of course, students are in our classes to learn languages and as Moskowitz says (in another text) “It should be noted that using humanistic activities is not to the neglect of the target language, but to the enhancement of it…” She then refers to Carl Rogers’ work and states that “this suggests that the second language class is a natural setting for being able to communicate in highly appealing ways. That is, while conversing in the target language students can share their hopes and dreams and their ambitions; their experiences… interests, values….”. I have found fairly low-risk ways to have students talk about things of this nature. An English teacher I know here in Spain actually requests to be given groups with problematic students and she uses some humanistic type language-learning activities (probably middle of the road ones, not too tree huggy) with them and they respond very well. She has found impressive changes both in their behaviour and in their language proficiency when the classroom becomes a place where they want to be. Evidently, she also has the skills of the Facilitator type educator from Underhill’s model I mentioned earlier but both together – skills and activities – seem to make for better language learning for her students. I think the title of the book is extremely unfortunate as it reinforces the idea that humanistic approaches are pushing an agenda. The key idea for me is addressing affective factors in the classroom and the learning process in general. Incorporating Carl Rogers’ precepts of respect, empathy and authenticity are the core of the matter, not being nice to people. I remember Jim Scrivener using the term “muscular humanism” to reach out to the short haired meat eaters of the world (like me!). As Jane has implied, these core values make sense to all kinds of humans, even teenage ones. Nicely put, Duncan. I like Jim’s notion of ‘muscular [and possibly carnivorous] humanism’! I don’t think a title like ‘Caring and Sharing’ would stand a chance nowadays – not so much because it sounds like it’s pushing an agenda, but because it evokes the most cringe-making images of what has been dubbed (above) as ‘tree-huggery’. But I think you’re right – we need to be reminded of what the core humanist values are, values that are too easily obscured by new age-ist practices that have no firm basis, either in theory or in practice. Hi, everyone, and thanks for so much food for thought. “L2 learners have ideas, too”. What about L2 learners being ideal language selves…already? For advocates of language learning as a socio-affective construct, manifestations of what you call “muscular humanism” in the classroom should contribute to showing students that there is no such thing as an L2 ideal self. Frames like “linguistic self-confidence” and “self-regulation” -Ellis, R. (2009). The Study of Second Language Acquisition. OUP- could prove to be more empowering and motivating. As Ellis would put it, there’s some sort of “Machiavellian motivation” (681) in this concept of the ought-to self… NESTs vs. NNESTs perhaps? Having used techniques in the classroom to promote the Ideal (and Ought to) L2 Self construct, I wasn’t aware of pushing any hidden agenda. The most powerful element of this process, for me, has been that it puts the learners in the driving seat and gives free reign to their imaginations. Their ideal selves are not necessarily based on native speaker models. Quite the contrary, most of the learners see themselves as world citizens and part of a larger community, for example in this extract below. Not very Machiavellian, I think. Thanks, Jessica, for your reply. I used “Machiavellian” in the sense that this “ought-to” concept contradicts the “construct” nature of it, it is not organic enough, so to speak, from a teacher cognition point of view. I am not saying that this responds to any sort of hidden agenda. I totally respect your classroom research. Don’t you think that the extract that you’re using here to illustrate your point is more about the acculturation process rather than second language learning itself? I’m not sure that this is a correct interpretation of the ‘ought-to’ self, as I understand it. Ushioda & Dörnyei (2009) define the ‘ought-to L2 self’ as that component of the ‘L2 Motivational Self System’ that “concerns the attributes that one believes one ought to possess to meet expectations and to avoid possible negative outcomes” (p.29). The ‘ought-to’ self typically reflects the expectations of parents or other stakeholders, e.g. to pass an exam, or it may come from the implicit social pressure to speak an international language. This is quite different from what is called the “Machiavellian motivation”, defined by Ellis (2009) as “the desire to learn a language that stems from a wish to manipulate and overcome the people of the target language” (p.972). Strange coincidences. I’m sitting here right at this moment reading Dörnyei and Ushioda for the 3rd or 4th time – book opened to p. 13 …”ought to self refers to the representation of the attributes that one believes one ought to porsess (ie representation of some else’s sense of duties, obligations ro moral responsibilities) and which therefore may bear little resemblance to one’s own desires or wishes.” In the possible selves model it seems the ought to self differs from the ideal self in that the latter is the individual’s own vision for him/herself. Both have – in different ways – significance for motivation. By the way, in the discussion of humanism, if anyone is interested, you can download from the internet Stevick’s book Humanism in Language Teaching. Just google the title and his name. I like some of his other books better but it is interesting too. into direct contact with members of the host culture’ (Padilla & Pérez, HJBS, 25 (1) 2003), the I think this extract (and others) is more a reflection of the learner’s ‘International Posture’ (Yashima, 2000). Some context might help to clarify this. These are Catalan University students (not English majors) doing general English courses parallel to their degrees. They have not had any continued exposure to the TL community other than brief holidays or cultural exchnges. In the extract above, the student has a cousin, married to a Korean, who has recently relocated to the US. One could argue that she has more motivation than most to learn the TL, but maybe that is because she has a clear and inviting vision of how she will be using it, an Ideal L2 Self. Thanks, Scott, for your clarifying note. I was playing around with “Machiavellian” and “ought-to” because of their TESOL-juicy undertones -yes, a little unfair with the authors’ intentions. Isn’t it the greatest of motivations the fact that, as a second language learner, our ideal L2 might be already happening? And so may our attributions? That we’re already meeting expectations? Well, just “blogging” out loud..
1. Some of the most successful lessons I have taught and observed took place in classes where students genuinely liked each other and got on well with the teacher. Conversely, I have taught and observed lessons that were technically flawless (at least from the T’s perspective) and never got off the ground. Maybe a fun, relaxed, “to err is human” sort of classroom atmosphere is far more important than we think. 2. Lately I have found that many students are actually getting worse at interacting with their peers – teens and adults. In many lessons, when the teacher announces that students will work in pairs, I have often felt a palpable sense of discomfort in the air – you know, students looking around, wondering who their partners will be, the awkward smiles during the actual activity and the you-can-hear-a-pin-drop silence when the activity is over. If this is, indeed, happening, it’s hard to say why. Too much competition in modern society? Too much Internet-based interaction? 3. I wonder what kind of bearing Krashen’s affective filter would have in this discussion. Common sense with a fancy label or is there more to it than meets the eye? Thanks for your comments, Luiz. I wonder if anyone else has experienced these these negative interactional behaviours in their classes. As for your third point: it would seem churlish of me to critique the affective filter hypothesis, given Stephen’s recent generosity (he sent me two of his books), but it does seem to work best only as a metaphor for the fact that affective factors can impact on learning — the learning of anything, for that matter. Even then, the picture is more complicated than the affective filter hypothesis implies. For example, it doesn’t seem to be the case that positive affect always correlates with better performance, or that negative affect correlates with the opposite. Dörnyei, in The Psychology of the Language Learner (2005) reports on studies into self-esteem to the effect that “we can find both positive, negative, and null correlations in the literature, indicating that the issue is highly complex and is not associated with any straightforward and obvious trends” (p.213). Similarly, on the subject of anxiety, Rod Ellis (The Study of Second Language Acquisition, 1994) says, “anxiety (its presence or absence) is best seen not as a necessary condition of successful L2 learning, but rather as a factor that contributes in differing degrees in different learners” (p.483). Doesn’t there seem to be a certain degree of anxiety, still within or barely outside the realm of the comfortable, that somehow pushes students to produce beyond their current level of competence? Maybe this explains the importance of the “public performance” phase of recent TBL models. Left to their own devices, during pair/group work (low anxiety situations – at least in theory), maybe students do tend to focus on task achievement and meaning conveyance more than on accuracy and complexity. So maybe A LITTLE anxiety might actually correlate positively with interlanguage restructuring? It has been observed that anxiety does not necessarily inhibit performance but in some cases actually promote[s] it. ‘Worry,’ which is considered the cognitive component of anxiety, has been shown to have a negative impact on performance, whereas the affective component, emotionality, does not necessarily have detrimental effects (p. 198). I was a big fan of humanistic teaching, or I still am, not sure. But is there a Philosophy of ELT? I mean, maybe I’m too old-fashioned and philosophy is not something we should discuss anymore, but doesn’t anyone else think that when talking about humanistic teaching we should also talk about underlying assumptions of humanism? For example, being very simplistic, that the human being is ‘good’ in nature/essence and that provided the ‘right’ conditions s/he’ll become a unique self-actualising being. Hence, the first thing I ask myself is ‘do I believe people are inherently “good”? In case I do think so, do I believe there are “right” conditions? and do I believe I can know these conditions? If affirmative, I’m presuposing there’s a theory, or the possibility and desirability of a theory, of the human being. So, what’s my point with all this? I think that in many cases we can gain insights if stepping from ‘fundamentals’ back to ‘starting points’. A starting point being a question, preferably a deep philosophical and educational one, and not an answer (fundament). I’m not sure that it’s a philosophy of ELT that we need, so much as a philosophy of education in general. (As I will be arguing at the ISTEK conference shortly, we forget that we are involved in education at our peril). A philosophy of education that recognises the integrity of the learner, that acknowledges the capacity of the learner to identify their own goals and to take charge of their own learning, and that promotes values of equality and social justice — that would seem to be a humanist educational philosophy. It doesn’t go so far as to acknowledge the essential “goodness” of the learner (which strikes me as more theological than philosophical) but it could. the “goodness” part I think it’s more to do with the psychology rather than with the philosophy of education, I might’ve gotten a bit confused in my thoughts. But a point of departure could be how, or why, do we come to know that “to take charge of their own learning” should be an aim? And it is basically, I think, just a philosophical question, without the ‘humanist educational’ preceding it. What I meant, and I’m afraid I can’t be any clearer, is that these three things you mentioned that a humanist educational philosophy recognizes are principles, i.e. answers, and that we take too many principles as givens, and rarely examine the questions that originated them and how they came to be. On a side note, I just remembered an interesting phrase, by Levinas I think. “Humanism is not sufficiently human”, Gert Biesta uses this as a stepping stone to an amazing text on education, democracy and being in his book Beyond Learning, which I think you’ll like. If tomorrow, your question about the goodness of human beings was somehow answered… and the answer was that actually we’re more ‘bad’ than ‘good… how would that affect your actions? Would you stop trying to empathise and sympathise with people? I absolutely agree that we take many principles as given, but it makes perfect sense in many cases to do so – in fact, realistically it’s the only thing we CAN do. We will always be working with incomplete information and there are moral choices to be made NOW. Human beings thrive much more and achieve higher levels of well-being in certain conditions. We know this. This is as much based on overwhelming empirical evidence as our knowledge that gravity exists. The distinction between humanistic and progressive education is one that I value greatly. Scott’s gloss that the former is about helping the individual be all that they can be and the latter is about helping society be all that it can be is an elightening one. I don’t know if we need go as far as considering the fundamentals: is humanity good? What are the right conditions etc? I think we need to ask ourselves one (rhetorical) question: do we need the help and support of other people throughout our lives? The answer is invariably “yes.” And this answer can be empirically researched and demonstrated. So, it has one up on the philosophers. Are individuals good or bad? It doesn’t matter. They still need to operate within a social milieu; what are moral choices other than choices which best serve the communities in which we live? I think my objection to humanism is that it predicates a human nature that gives us all value and worth. I don’t believe in any such thing. Humanists reject gods but make humanity a god. But at least the god of Abraham was comparatively well-defined. He was a vengeful old soak who believed in power and authority. What is human nature? Taoists would be quick to point out that if behaviour which can be described as in keeping with human nature can be proven to exist, so too can behaviour which is not in keeping with human nature. If somebody exhibits such behaviour are they unnatural?Inhuman? As I’ve written elsewhere, it seems that inhumanity is one constant of humanity. So, the best example of human nature is that we are capable of inhuman behaviour. Are humans the only ones imbued with such nature? Is there ant nature? Anaconda nature? Aardvark nature? Is the story of the frog and the scorpion what it all boils down to? I don’t think so. I think that this is why I am quick to dismiss humanistic approaches as tree-hugging hippy crap (although, to be fair to the hippies, this rests upon a rather exaggerated view of their movement). I don’t see the value in struggling only to actualise yourself when you have so many more responsibilities to the people around you. We should be, I think, struggling to help other people actualise themselves and, in so doing, we actualise ourselves. But as an accidental by-product rather than our main ambition. So the humanists can continue to gush over each other. I think education should be exploring what it takes to help us interact with each other better and to provide mutual help to each other. But what if exploring what this takes entails making connections between the self and the language? After all. Moving from the known towards the new is a basic educational principle. That being so, a bit of time spent getting to grips with the most basic “known” – oneself – may be a necessary element in the process of education you are calling for. Also “humanist” philosophies and “humanistic” approaches to language learning may have a relationship (as the suffix -ic suggests) but the latter need not be identical in aims to the former. HLT therefore need not be about self-actualization in the sense that humanism is, in other words. It is a pedagogic contrivance, whereas humanism is a philosophical one. Thanks guys for this very stimulating discussion. I always learn a little when I get involved here (and it always leads me to more reading). In fact, it’s a bit like an ELT toy shop where I have a gift voucher. Maaaan… doing ELT can sometimes seem about as ‘valuable’ (see Scott’s previous ‘Profession’ posting) as working as a waiter. Not that working as waiter is worthless, of course, but if one calls themselves a teacher of any stripe, I can’t help thinking they are potentially holding an important station IF they will embrace this idea and work hard towards realizing it. I’m interested in humanist/humanistic/progressive (or whetever it shall be named) values in general, but (attempting) to be a good teacher for me, is another way (of attempting) to be a better PERSON – someone who has a continual conversation with 100s of people ( captive audience, no less hehe) and if he’s uses his head, studies and reflects enough, he can have a positive influence on other people’s lives. In my modest opinion, I think there is some confusion here. Self-actualisation and focusing on one’s inner self need not be at all of the Ayn Rand sort (you know, the virtues of self-selfishness blah blah..). No, I think quite the opposite. Once again, I’m going to use Summerhill as a prime example (gently poking intuitions, I hope). I wouldn’t try to argue that humanistic education is the antithesis of progressive education. Like Scott, I see it as being almost like a spin-off. Progressive education doesn’t concentrate exclusively on the community – it recognises the need for the individual to be relatively content and confident. But it’s overarching (or underlying???) aim is a healthier and happier community. Humanistic education, on the other hand, has the self-actualisation of the individual as its raison d’etre. My first thoughts, prompted by “the assumptions on which the book (and humanistic teaching in general) is based”, were to compare Humanistic teaching to Homoeopathy medical treatments…good in principle, but when you look through a magnifying glass we can see cracks. As H is for Humanistic develops, I can see the benefits of the ideology. I would love to use my students’ knowledge to form my lessons, but find the methods rather challenging. Any advice on how to do it? I’m afraid I don’t see any real basis for comparing Humanistic teaching to Homoeopathy. There is a mountain of credible research to back up a Humanistic approach to teaching. It’s principles are based on good, sound empirical evidence. You won’t once you get into it. Like Delpha said, you need to reflect as much as possible on what you’re currently doing and make incremental changes. No one can tell you how to teach – it’s something you have to work out for yourself by trial and error, using ideas wherever you find them. 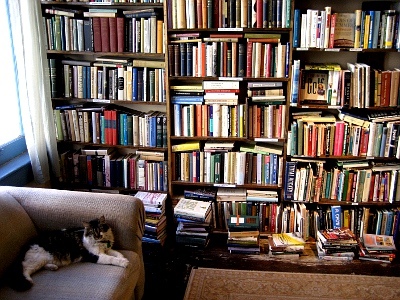 There are many books to help you. Maybe you can start with Teaching Unplugged. It starts when you look through a magnifying glass at the materials and methods you’re currently using and seeing the cracks. In order to adopt new ‘methods’, especially those you find challenging, there has to be a motivation to do it (i.e. you are really dissatisfied). Before trying new things it also helps to become reflective in your teaching practice. In other words, after a good lesson just note the things that went well and why you think they went well and the things that went bad etc. Then start trying small humanistic activities here and there and pay attention to how it affects you and the classroom dynamic as a whole. Start small – the results can be big. I have been doing some research with learners on our Cert. 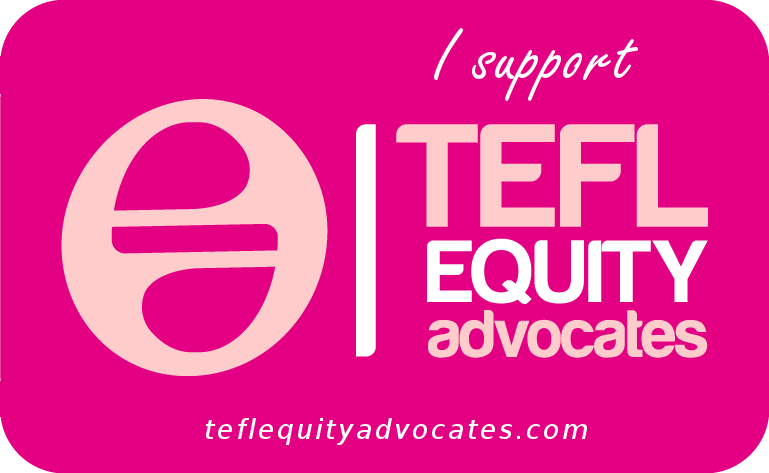 TESOL course. I was curious to find out what they think of the trainee teachers and their lessons. As a teacher I have been getting ‘formal’ feedback from my own learners for years but as a trainer I have never got feedback from learners who are practised on (apart from the odd comment around the coffee machine). To start this research I decided to find out what their criteria is for a good teacher and a good learner. I asked them to describe a great teacher and think of a lesson they have really enjoyed and found useful. Much of what they said ties in with the 3 points Scott highlighted. 2. Use students’ responses in the lesson/Your students have ideas too – They value teachers who listen to them and give them space to contribute to the lesson. Nearly all of them want a teacher to be ‘a good listener’. This implies listening carefully and responding meaningfully to what they say. I agree with some of the more negative comments here in that learners can get sick of the constant attempts to personalize in lessons and some of the activities mentioned in this book may be inappropriate, but as far as learners I have spoken to are concerned many of the principles are very sound indeed. When I started teaching new courses last year, I decided I had to do what you’re doing – get more information from the learners. I compiled a few surveys, intended as much as anything, to be conversation starters that would not only give the learners an explicit opportunity to state preferences and give feedback (and skills practice ,of course), but crucially for me, at the same time, to explain and justify my preferences for lessons, encouraging them to think more from a teaching pooint of view. We can’t do reflective teaching without understanding our learners, but likewise I would argue the learners need good teacher’s feedback to really do reflective learning. To my mind, we shouldn’t only be accomodating to learner prefernces, but helping them understand those preferences and letting them in our ‘secrets of the trade’. This is when meaningful dialogue about the classroom can really start. By using our learners voices as material we are giving them more choice as to what happens in the classroom. They are instrumental in the direction of much of what is focused on. I would argue, we need to be instilling learners with more explicit notions of choice and autonomy by helping them understand the principles on which these approaches are based. At the end of the day, our learners are obviously going to be at a loss to explain in any detail why certain learning strategies might work for them. In this relationship, it is the teacher that busts their balls studying for years and reading until they go cross-eyed in order to understand the classroom and in turn help the learner understand it. Learners are not teachers unless they learn teaching – we must remember this. I remember a friend giving a simplistic definition of a teacher. ‘A teacher’, he said, ‘is a person who wants to share knowledge’. great convo guys. i do hope i make it back to read some earlier posts. took me longer than expected just reading through all of these great comments. and now i’ve gone to wikipedia to catch up on your terms, dogme, etc..
i just have one comment, well i have a kazillion, but this one won’t let me not expose itself. it seems we’ve pretty much mastered labeling and separating and categorizing over the years. we’ve become extremely efficient. and we can use that – in spaces like wikipedia. but i believe what the web is allowing us to do now is, in a sense.. give that up in the classroom, if there should even be a classroom. get back to trusting the learner, trusting the learning. going into a room with any agenda.. with all we know now.. with all the access to learning whatever, wherever, whenever, however and with whomever, seems a compromise. nothing is for everyone. we can now facilitate that in public ed. i’m thinking the best approach is in participating in it ourselves. along side. jumping into that ocean.. daily. expecting the unexpected. expecting to be surprised. it seems if we want to facilitate/participate with learners on their journey to becoming indispensable, a key piece is letting go. we have such a strong urge to manage. i think we’re currently on a kick (myself included, it’s so dang hard) to manage self-directed learning..
Reading your post about Caring and Sharing really took me back! I was a big fan of the ideas in this book and they sparked off all sorts of other ideas that I used with varying degrees of success but always with lots of laughter. I looked for my copy of the book but couldn’t find it. Must have thrown it out a long time ago. Thanks, Brenda – yes, it’s great to re-visit these books so long after their first influence on you – and to see how you have changed, or have not, as the case may be!